The news broke as a series of photographs and an exclusive interview with The Augusta Chronicle. 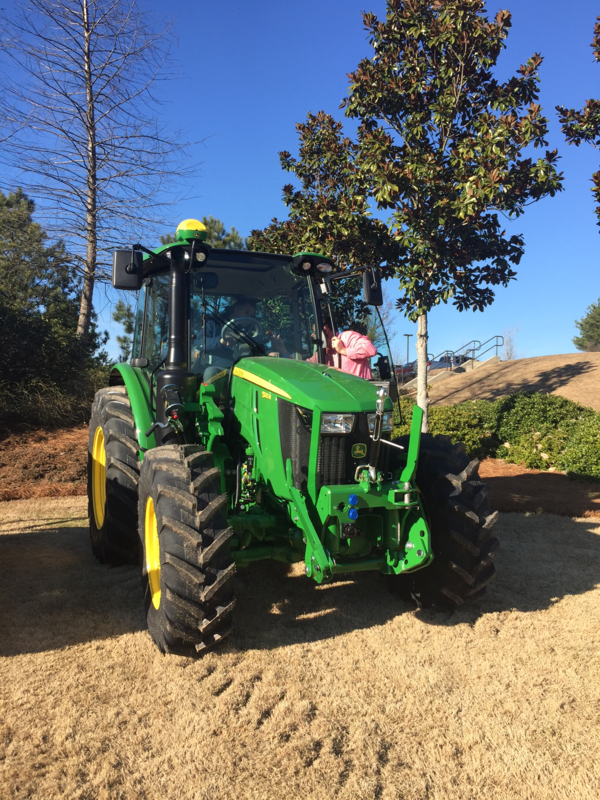 The John Deere facility in Grovetown, Georgia recently became the company’s highest-volume producing facility. John Deere has been a part of Columbia County for over 25 years and is the county’s largest private employer. The company rolled out its millionth tractor in 2015 and have been making strides since. Their operation has grown tremendously over the years and we are so glad they found success here in Columbia County, Georgia. You can also access The Augusta Chronicle’s interview with Plant Manager Tony Rollin by clicking here: John Deere’s top-producing facility is in Grovetown. Executive Director Robbie Bennett getting a close-up view of a John Deere tractor with Operations Manager Pat Brown.